Theoretical physicist Dr. Michio Kaku appeared on Comedy Central’s “The Colbert Report” last night to discuss the potential of Earth-smashing asteroids. 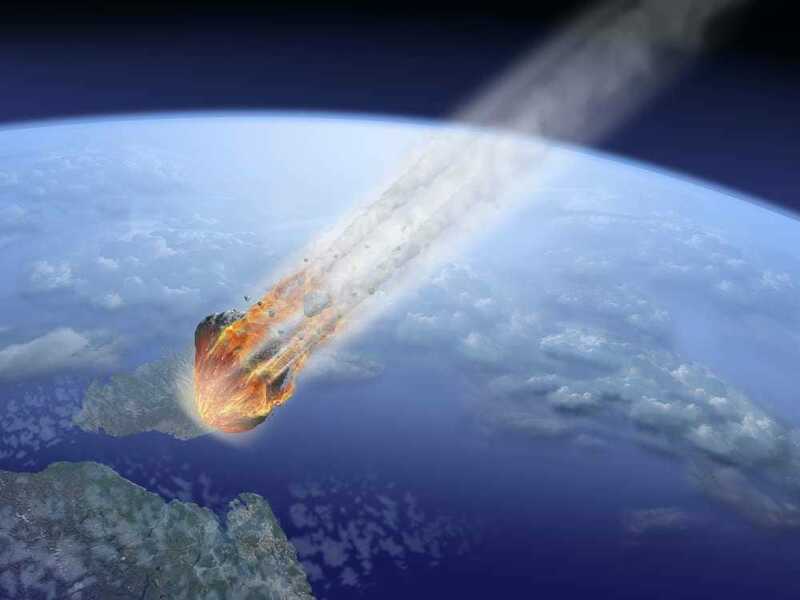 Even small asteroids, like the one that recently exploded over Russia, can cause disaster. It caused thousands of injuries from the shockwave that blew out windows and shook buildings. These are called “century asteroids” because they hit the Earth on average about once every 100 years. The space rocks generally go unnoticed because they explode over the open ocean, but if they hit a populated area it could spell disaster. And as cities spread out and grow, these asteroids become more of a threat to humans. “We were blissfully unaware of the fact that we’ve had near misses and actual collisions with objects about the size of an apartment building,” Kaku pointed out. Kaku is referring the Asteroid Apophis, an asteroid 10 times bigger than the one that skimmed Earth earlier this month. According to Kaku, the asteroid will graze Earth’s atmosphere in 2029. Depending on how much friction is created during that flyby, there is a window of opportunity that it could hit on its next pass in 2036. What can we do? Experts have some dramatic plans up their sleeves. Astronomers are also watching the skies for comets. Comet ISON, dubbed the “comet of the century” by NASA, will make its closest approach to the Sun in late November. If the comet survives, “it could emerge glowing as brightly as the Moon, briefly visible near the sun in broad daylight,” says NASA. Comets are different from asteroids for a number of reasons. The biggest difference is that asteroids are mostly made of rock and metals whereas comets are made of rock and ice. Comets come from the outer solar system and have a tail, made by ice vaporizing as the comet nears the sun. Nearly all asteroids orbit in the region of space between Mars and Jupiter. The Comet ISON was discovered in September 2012 by Russian astronomers Vitali Nevski and Artyom Novichonok. It poses no threat of crashing into Earth but should make for an amazing sight.